Riotoro is a new player in the PC market, coming into business into 2015. The company was founded by ex-Corsair and ex-NVIDIA employees who possess the experience that is necessary for them to compete in today’s cutthroat markets. They are making slow, cautious moves towards new product releases, trying to maximize their revenue and, as a result, their growth. Their first entrance into the North American market was with the Prism CR1280, an RGB full tower case that we reviewed last April. 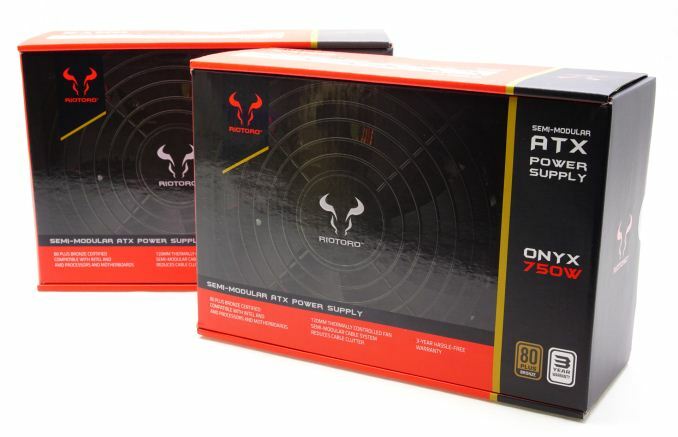 In this review we are having a look at Riotoro’s very first PSUs, the Onyx 650W and the Onyx 750W, which are used as proof of the company’s experience and cautiousness. These two PSUs are released in tandem with the 80Plus Gold certified Enigma 750W PSU. 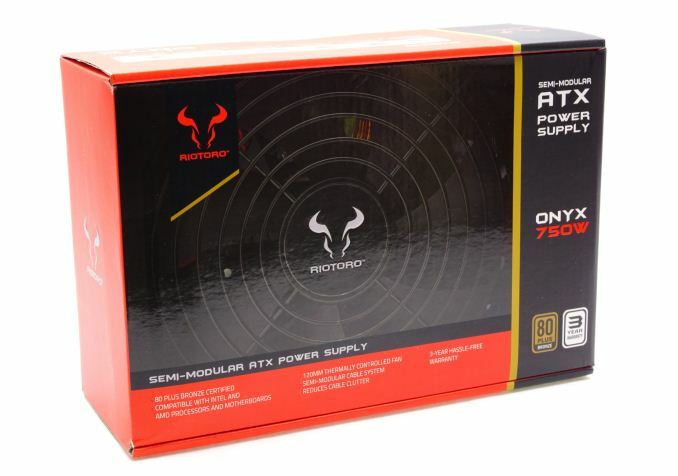 Instead of releasing a high output PSU that would be impressive but targeted at a very small fragment of the market, the two newly released Onyx units are more mainstream and are aiming to be financially competitive - not to take the market with brute force as with other brands. They are 80Plus Bronze certified and targeted towards casual gamers and/or advanced users, where the bulk of today’s home PC revenue comes from. 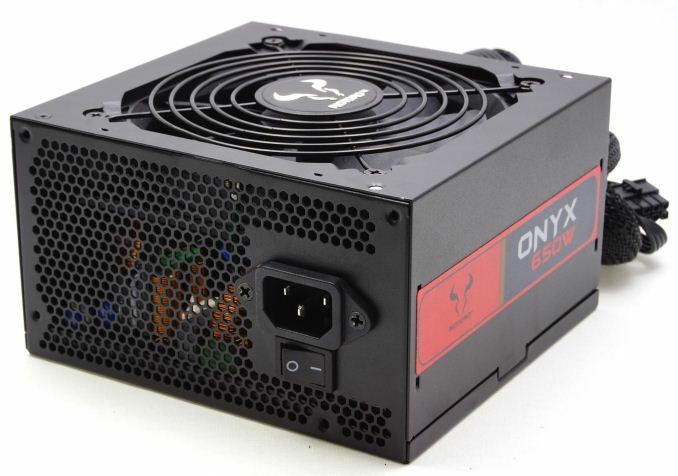 For the time being there are only two versions of the Onyx, with a maximum output of 650W and 750W respectively. We received the two Onyx PSUs into simple, effective cardboard boxes. The artwork on the boxes is simplistic, but all of the necessary information and specifications are printed onto the sides and rear of the box. Inside the box we found the PSUs simply wrapped in nylon bubble bags, without any polyethylene foam or extra cardboard packaging. While not the best shipping protection for a PSU, but it should be sufficient for the vast majority of cases. The items bundled with the Onyx PSUs are the absolute minimum that we expect: inside the box we only found the necessary AC power cable, a few cable straps, four black mounting screws and a basic user’s manual. Both units share the exact same bundle, only the manual itself and the number of supplied modular cables differ. 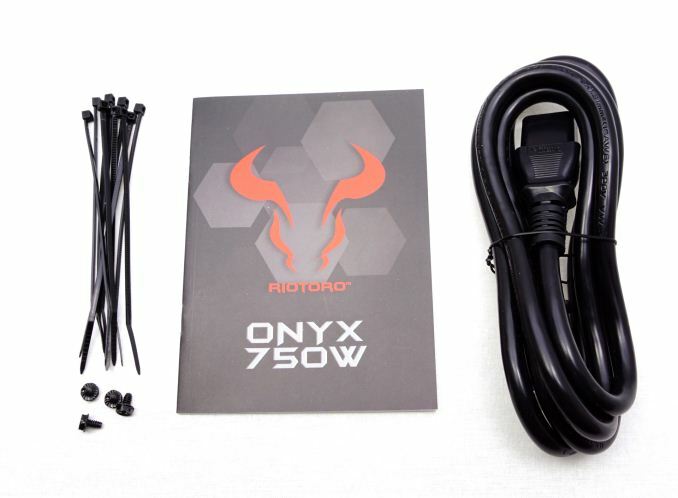 The Riotoro Onyx PSUs are semi-modular, with the ATX and EPS cables hardwired onto the units, with the rest of the connectors on removable cables. All of the wires and connectors, including those of the hardwired cables, are black. 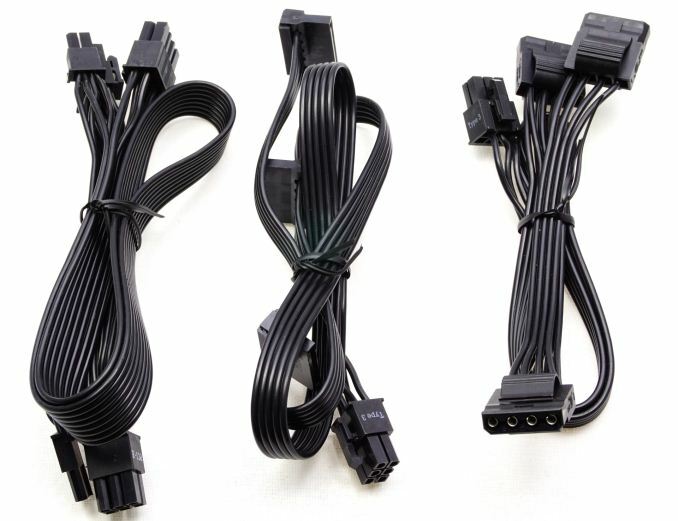 The ATX cable is wrapped into black nylon sleeving, while the rest of the cables are “flat” ribbon-like cables. The 750W version has two extra PCI Express connectors, plus extra SATA and Molex connectors. Technically, the power rating difference does not really justify such a vast difference on the number of connectors, suggesting that Riotoro simply wanted to differentiate the target group of their two models. The new honda accord 2017 is worse/better than the honda accord 2016, this is an example of a sophism, you can't use that as an argument. If we base life on argumenting like that, maybe you shouldn't walk on the sideways, there are reports of people that died hit by a car or just slip on the ice. Maybe you should move from your home if you have carpet/wood in it, there are reoprtedly homes that caught fire. "You know, life is risky, you won't get out of it."